For over 1700 years Istanbul has been one of the world’s great cities, its location among the most strategically important. 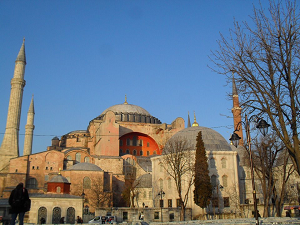 The Hagia Sofia, was a church for nearly one thousand years, a mosque for nearly five hundred and is now a museum. It is among the most important and historic buildings in the World. 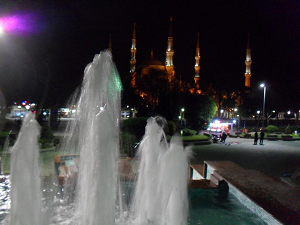 It is on the opposite side of Sultenahmet Square to the Sultenamet, or Blue Mosque built in the seventeenth century and a triumph of Islamic architecture, its style in harmony with the great cathedral opposite. Alongside Hagia Sofia is the Topkapi Palace, the hub of the Ottoman Empire for four hundred years from the fifteenth century. Topkapi is now a museum, allowing visitors to see the palace from which the Ottoman Empire was managed, and view a stunning array of exhibits. The weapons collection alone includes over 10,000 items. Alongside Sultenahmet Square is the Hippodrome, site of a Roman stadium, which features the Hippodrome Obelisk, brought from ancient Egypt, the Tripod column, and Column of Constantine. 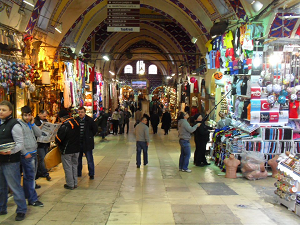 The Grand Bazaar is within walking distance of Sultenahet. It is the oldest and biggest closed bazaar in the World with 3600 traders. With so many attractions so close together visitors can get a flavour of all of them in a day, or linger to take them all in fully and see Istanbul’s other major sites such as the Galata Tower, Dolmabahce Palace, Dolmabahce Mosque and Taksim Square. For a quiet time, wander through Gulhane Park behind Topkani Palace and sit drinking coffee looking over the waters of the Bosphorus and Golden Horn. Boat trips are on offer to tourists, but may be expensive. Locals use boats as public transport and it is possible to take a journey on a scheduled sailing from Istanbul to the village of Rumeli Kavagi close to the Black Sea. For all its hstory, Istanbul is one of the largest cities in the World with a population close to 14m, at the heart of the Turkish economy which has grown to become the World’s 16th largest. It is a muslim city, in a secular state. It can become congested, and is a vibrant city noted for the excellence of its restaurants.